I went to bed as normal feeling fine but then woke up an hour later to discover my waters had broken. Although my contractions had not started, the hospital asked me to come in to be checked over. On route to the hospital (11pm at this point) my contractions started and once at hospital, the midwife confirmed that I was in the early stages of labour. Luckily as I was 37 plus 5, I was able to stay downstairs in the birthing centre rather than be admitted to the labour ward. I was given the option to stay or to go home and I decided to go home as it was still early and I wanted my home comforts! 5 hours passed and in that time I spent quite a lot of time in the bath, I found the warm water really helped with the pain and enabled me to relax. Once my contractions were a minute apart and more painful, Chris drove us to the hospital and it was about 5.30am at this point. Once settled in our huge room with ensuite (very lucky) I used the birthing ball for a few hours as my contractions got more intense, I also made sure I drank lots of water to keep hydrated. By now I had been awake for over 24 hours and was starting to get a little tired. Chris managed to have a nap in the hospital bed! When the midwives swapped over, my new midwife (Jenny) got the pool room ready for me and I got myself ready for the water. At this point my contractions were getting a lot more painful and even more close together. The birthing pool felt amazing and like the bath, I found it very relaxing. I was 7cm when I got into the pool and it was only a few hours until I was fully dilated and ready to push. I think for me getting from 7cm to 10cm was the most painful part! I did not have any pain relief apart from gas and air during the whole process. 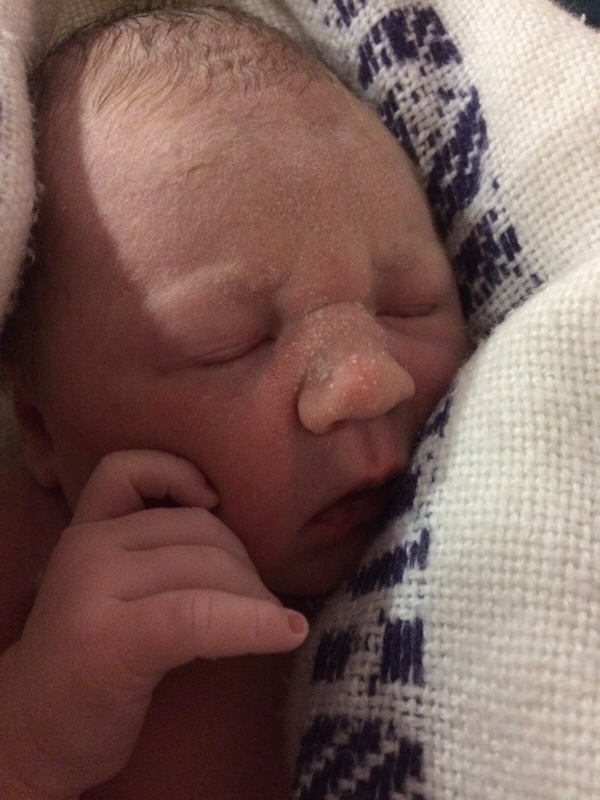 Once I started to push, I was determined to get her out, I was guided more by the midwife at this point and Ruby safely came at 10.37am, all 7lb of her. I cannot explain the feeling of holding her for the first time, it was very emotional and surreal. I cannot recommend having a water birth enough, it was very calming and also I found being in the pool on my own allowed me to have support on the outside but also the privacy and space to really give birth independently. Next My top ten baby must haves!